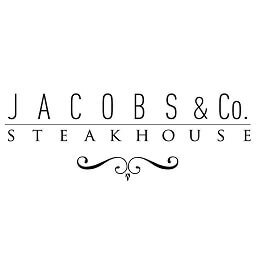 Jacobs & Co. is one of Toronto’s most distinguished steakhouses. It’s the type of powerhouse restaurant where pro hockey players, celebrities, and suits hold court and celebratory crowds gather to splash out. While top cuts of meat served with unerring consistency are the main attraction, the recipe for its popularity also includes first-rate service and a dash of ceremony that diners expect when dropping a couple bills on a single dinner. The 180-seat restaurant is spread over two floors and comprises a main dining room, piano bar, private rooms, show cellars and walk-in aging room. In contrast to old-guard chophouses like the dark, brooding but kitsched-out Barberian’s, this restaurant – bearing the same pedigree as the Buca empire of restaurants – is airy and modern, turning convention on its head by employing a light, muted, colour scheme accented by dark woods. The result is, as anticipated, excellent, plenty garlicky and a little zippy from anchovies. It’s not creamy, but the classic addition of an egg yolk adds richness, though they’ll replace that with an avocado for a similar effect if requested.